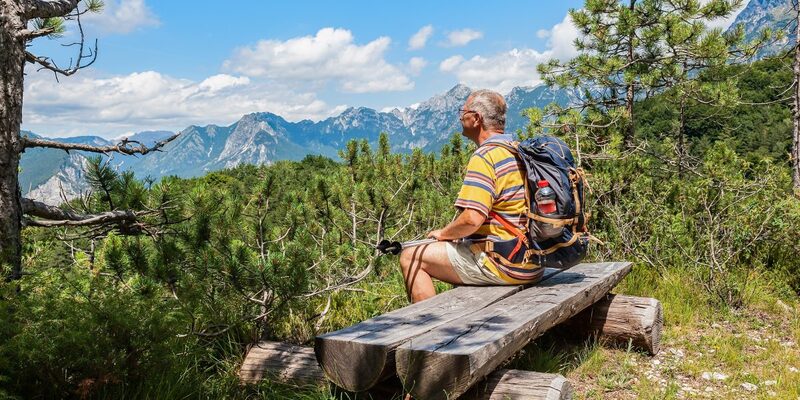 The advent of pension freedoms has altered the landscape for those planning their retirement. In an ideal world, everyone would be a member of a high quality Defined Benefit (DB) pension scheme, whereby a sustainable retirement income is guaranteed for the lifetime of the individual. However, for those who are either self-employed or prefer a Defined Contribution plan, being able to purchase an annuity which lasts for a lifetime at a level high enough to ensure a comfortable retirement would also be an attractive option. Reality however dictates otherwise. The long-term low interest rate environment we have been experiencing for many years has had a detrimental effect on annuity rates. In addition, many employers have chosen not to provide DB plans. Few companies now offer DB schemes to new employees. Those that do are under constant pressure due to increased annual costs and share-holder requirements to deliver value. Change is not always a good thing. We can either bury our heads in the sand or learn to deal with the new environment. Pension freedoms legislation was introduced in 2015 to combat some of the concerns of existing and future pensioners. Members of DB schemes have always been able to transfer the cash value of their pot to a DC plan. However, few chose to do so as a result of only having the option to take an annuity-based personal pension. More attractive schemes were developed allowing much wider investment choice via a Self-Invested Personal Pension. This was/is good news, especially for those who are well versed in investment markets and able to create a sustainable and flexible pension portfolio. Guarantees are however lost; any unfortunately timed market correction such as we witnessed during 2008/9 could have a huge impact on someone’s pension planning. The Pension Regulator also introduced an additional rule stating that those with DB pots worth in excess of £30,000 would be obliged to prove that they have taken advice from a properly qualified Independent Financial Adviser before trustees would be allowed to enact a transfer. How have pension freedoms fared? Pension freedoms were welcomed by the financial services industry and consumers alike. But, how are we faring now? This was indeed a high cost to pay for pension freedoms! The consequences of these actions included unexpected tax bills, severely depleted pension pots and much higher than expected fees for advice. Maybe ‘freedom’ was an unwise word to use in this context. Given that the number of scams have increased and the cold-calling ban has been delayed again, I don’t see how these problems can be overcome without more change. An example of the increased cost of pension freedoms is that Professional Indemnity insurance premiums have gone through the roof. There are plenty of well-qualified, professional IFAs in the UK who are able to correctly advise individuals on the pros and cons of transferring DB schemes. They do, however, have to hold professional indemnity cover; as with any business, increased costs have to be passed on to their clients. A recent case I saw involved a £4,000 fee for advice on a £34,000 pot. This represents a fee of almost 12% of the pot. If that were a commission it would rightly be considered excessive and unfair. IFAs are mandated to carry the liability of advice going wrong; this particular fee level reflected that risk. It still seems very high, albeit that the client was capable of making his own mind up about whether to transfer or not. What should therefore be changed? I am no fan of ‘one size fits all’ legislation. It prompts ‘computer says no’ responses and makes no allowance for personal choice or nuance. Our financial situations are all different and, subject to the necessary warnings being available freely and easily, perhaps from The Pensions Regulator. There should be an advice-free option for DB transfers. This does indeed involve risk, and it would not be for everybody, but there really needs to be a mechanism whereby individuals can make and be responsible for their own decisions with their money. Let’s face it, the system hasn’t exactly proved itself to be robust enough to be free from abuse to date. In order to combat scammers and uninformed advisers, Unregulated Collective Investment Schemes (UCIS) should be excluded from DC pension schemes entirely. There should be no exceptions as there are few, if any reasons for anyone to be invested in UCIS funds for the purpose of providing pensions. There is no issue with anyone purchasing a UCIS fund themselves or from an adviser for other reasons, as they are only supposed to be for sophisticated investors. It should be noted though that a sophisticated investor is by definition able to understand the risks and is financially well enough off to absorb unexpected losses. I know the UK government has had other issues on its mind of late, but surely some progress can be made on banning cold-calling, even if it needs to be a little Draconian. The vast majority of pension liberation scams emanate from cold calls; it is time it was stopped. Again, a much bigger effort can be made by the various regulators and government departments to do something about nuisance calls. It would be welcome if the authorities were to put a lot more resources into making sure criminals are tried and severely punished. Perhaps if a few high-profile pension scammers got what they deserve, new ones would not pop up to take their place. At the moment, the impression is that no one is ever prosecuted and the criminals get away with it every time. Pension scammers generally suggest that their victims invest in UCIS funds. Banning them would go some way to stopping their nefarious activities. It goes without saying that anyone who realises that they don’t have the necessary experience or knowledge of pensions and investments should find a truly trustworthy adviser. Advice won’t be free, but at least your pension won’t be liberated to provide a yacht and swanky villa for someone who doesn’t have your best interests at heart!